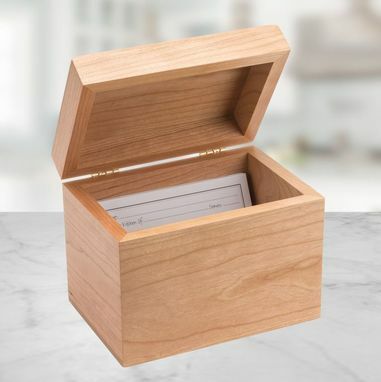 Our wreath recipe box is American made with beautiful cherry hardwood. 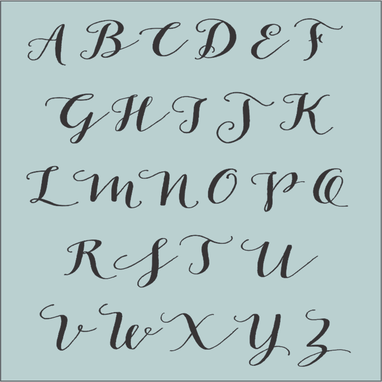 The lovely floral circle is engraved along with your initial or monogram. The word "Recipe" is engraved on the front for additional cost (optional). 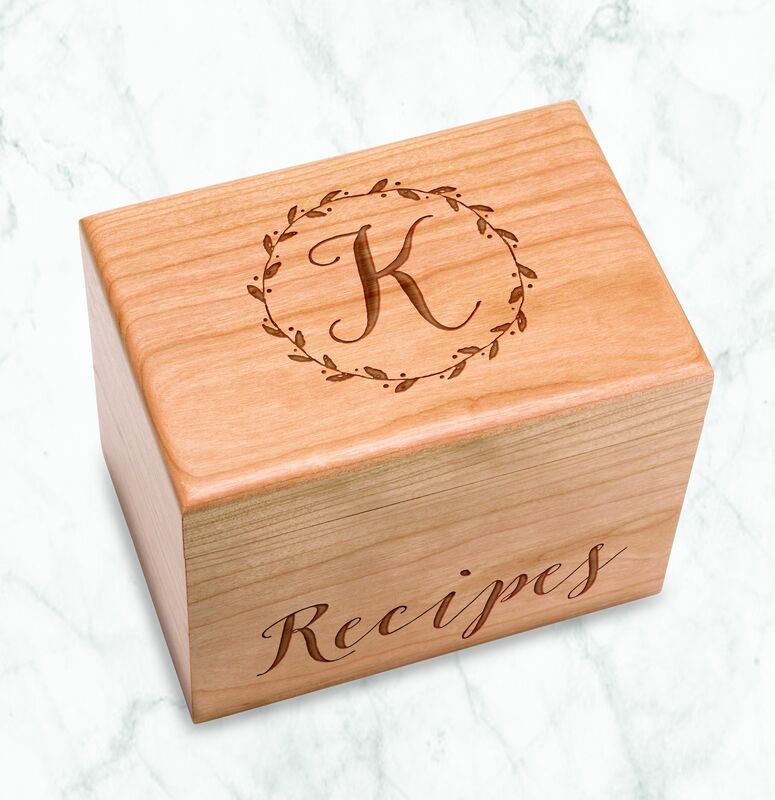 Our recipe box is made from hardwood and is heirloom quality that is made to last. A beautiful gift idea to give to your favorite chef. Outside measurements are 7x5x5.5 inches. Inside measurements hold 4x6 recipe cards with plenty of head room for 4.25" tab dividers (both not included). Please indicate the initial(s) in the notes at checkout. For monograms, please put them in the order you'd like them printed. first, last, middle. bride, last, groom. Ex: bAr (Barbara Anderson Rene) Proofs available upon request. Custom designs are available upon request. More recipe boxes designs are available under the Recipe Box section. Add the quantity to the cart and include all personalization in the notes to seller on the cart screen. **COPYRIGHT WARNING** Copyright 2010-2017 Personalized Gallery. The designs on this listing are protected by copyright laws. Personalized Gallery has created and laid out the designs on this listing. Do not copy or request another artist to copy my design.